So it’s January, that time of the year when we make unattainable promises to ourselves in the hope that this year will be a life-changing year. Whether it’s exercising more, studying harder or drinking less we all have extreme visions of what we’ll be like – fit, intelligent, sober machines – just a couple of months into the new year. We all have such good intentions for our future selves that it’s hard to understand why much of what we promise ourselves never happens the way we planned. 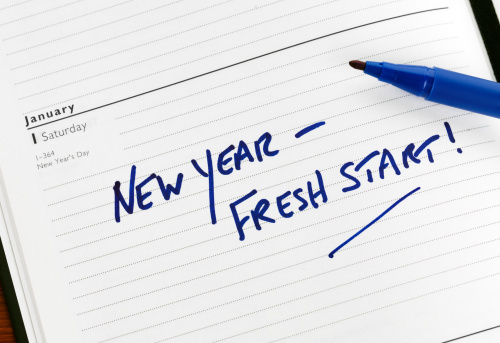 Statistics tell us that just 8% of New Year’s resolutions are successful yet we still continue to make them, confident in our future self’s ability to change. So why do we often end up making the same promises every year? One answer would be that we are all perpetual procrastinators. The future is one place where anything can get done – a 3,000 word essay on a Sunday morning? Easy. A light jog at 6am before a lecture? Sure. No kebabs ever again on nights out? Simple! You don’t even like kebabs! But when it comes down to it, present choices are never so good. After all, isn’t it easier to bodge the essay, sleep an extra 30 minutes and not have to go to the supermarket for salad? We’ll do all that next week, right? Wrong. The link between New Year’s resolutions and procrastination is a stronger one than you might think. In the same way New Year’s resolutions are made in a mindset of pure ambition for the future, procrastination also sees tomorrow as a mystical place where any amount of work and exercise, along with everything else, can be done. The (easier said than done) solution is to counter your need for instant gratification by outsmarting your base human instincts. In You Are Not So Smart, a book analyzing the human condition and the way we commandeer our lives, David McRaney writes about how to stop procrastinating. “In the struggle between should versus want, some people have figured out something crucial – want never goes away. Procrastination is all about choosing want over should because you don’t have a plan for those times when you can expect to be tempted. You are really bad at predicting your future mental states. In addition, you are terrible at choosing between now or later.” This understanding of our own human weakness is vital for understanding why we procrastinate and therefore how we can stop doing so much of it. In a study conducted in 2002 by Dan Ariely and Klaus Wertenbroch, students of three different classes were given the task of completing three essays in three weeks. Class A were to hand in all three essays on the final day, class B could pick three different deadlines for each essay but had to stick with those dates, and class C were required to hand in one essay each week. The results showed that class C, with three deadlines equal amounts of time apart, did the best. Class B, the class which had the freedom to choose their own dates, came second and most tellingly class A, the class given the most amount of time, did the worst. The experiment shows that although rational thought might tell you to opt for maximum time to submit all three essays, this is not the best choice as there is no bind to ensure students make use of the entire three weeks given. Most students in class B realized the benefits of equally distributing the essays – those in tune with their own tendencies to procrastinate – but the overall grade was brought down by those students who had chosen also to submit at the last minute. Those were the ones who didn’t recognize in themselves their propensity to procrastinate and were too confident in their ability to self-regulate. One way to bind yourself to your promises is to make yourself accountable by telling anyone and everyone what you plan on doing. The idea here is that you are less likely to be inclined to disappoint others – out of embarrassment or shame – than you are if you just have yourself to answer to. This works for studying as well as other resolutions but the flaw is that, in the end, only you know what work you truthfully have completed. If you want to learn how to stop procrastinating, you basically need to brush up your time management skills. One way to do this is to reward yourself in intervals. Many students find the prospect of a reward is a sure way to boost motivation and essay writing morale. The reward can be anything that gets you at least a little bit excited and it needn’t have to mess with any of your other dietary New Year’s resolutions! Maybe a cup of tea, a five minute YouTube clip, or an actual conversation with a friend (remember those?). Or maybe you’d like a surprise picture of a kitten for every 100 words you write of your dissertation at Written? Kitten! or some darker motivation in the form of Write or Die? Having small benchmarks to reach helps you to break down your work into manageable chunks and by rewarding yourself in intervals there is always light (or a kitten) at the end of the essay-writing tunnel. 2. Set your timer to 25 minutes or a similar doable amount. 3. Work on your task until the time is up. 4. Take a short (5 minute) break. 5. Reset the timer and repeat. For every four 25 minute “pomodori” you complete, you get a longer 30 minute break. Remember the story of Odysseus, anyone? The ‘Ulysses pact’ refers to the episode in which Odysseus ties himself to a ship mast knowing that he wouldn’t be able to resist the Sirens’ song. This provides an analogy to describe how we can bind ourselves to our promises by recognizing our weaknesses and preparing for them. This awareness of self is sometimes called metacognition and, you’ll be pleased to know, as we get older we get better at it. Have you figured out how to stop procrastinating? What strategies work best for you? Share your tips in the comments below.